Chinese Christians have denounced recent destruction of their churches and shrines by government authorities, comparing the actions to crushing their ancestors’ bones into ash. According to a report Monday by the Christian Post, Chinese Christians are outraged at the ongoing destruction by communist authorities, which demonstrates their fear of Christianity. As Breitbart News reported Sunday, communist officials have already demolished two important Christian churches this year as well as a popular Catholic shrine and a third church is slated to suffer the same fate soon. In a surprise raid, Chinese government agents bulldozed the Liangwang Catholic church to the ground in Shandong province in mid-July, despite the fact that it had a government license to operate legally. Authorities reduced the Shilihe Catholic Church to rubble earlier this year and Wangcun Catholic Church is reportedly targeted for demolition as well. In June, communist officials used backhoes and pickup trucks to demolish the sanctuary of Our Lady of Mount Carmel in Henan province, a popular pilgrimage site for Catholics since its founding in 1903, tearing down the images of Jesus Christ along the Way of the Cross. The heavy-handed destruction of the Liangwang church suggests an atmosphere of fear among government officials, observers said. The communist government reportedly sent 40 law enforcement officials and workers to storm the church on the morning of July 17, and later in the day sent an additional 30 men with bulldozers, to demolish the church building, as well as the altar and church furnishings. Officials reportedly set fire to what remained of the church after its destruction. One watchdog group, the International Christian Concern (ICC), noted the irony of sending as many as 70 men to destroy a simple Christian church. “Despite their best efforts to intimidate the Church with actions like this, the government cannot destroy the faith and resilience of Chinese Christians,” Goh said. One unnamed church member protested at the church ruins on July 23 and compared the destruction to a personal affront to family members. “Can you imagine the pain and sorrow when you watch your ancestral grave being dug and your ancestors’ bones smashed into ash?” the man asked. Authorities have justified the destruction by appealing to district plans to construct new buildings and infrastructure. 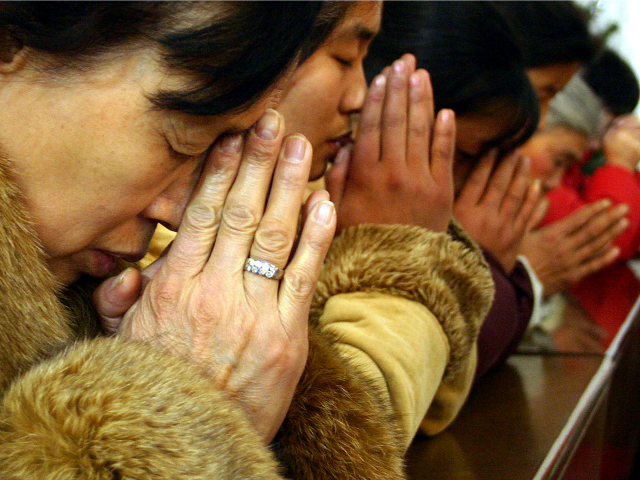 The growing fear of Christianity in China is perhaps not without some merit. Despite its status as an officially atheist nation, Chinese Christians now outnumber the 89 million official members of the Communist Party, with an estimated population of 100 million Christians. Christianity has been growing so fast in China that some predict that it will be the most Christian nation in the world in only another 15 years. The greatest growth is happening in unofficial Protestant “house churches” and in the underground Catholic church, rather than in state-sanctioned Christian churches. This has led the Communist Party under President Xi Jinping to undertake drastic measures, including the systematic stripping of Christian symbols, especially the cross, from church structures, as well as a campaign to replace images of Jesus Christ with those of the Chinese president. China has also publicly branded Christianity as a national security threat, and has initiated a program to “Sinicize” Chinese Christianity, purging it of western influences and molding its values into conformity with those of the Chinese socialism.